Our ‘Sputnik Moment:’ A Cold War-Style Call-to-Arms? A word cloud of the most-used terms in Obama's State of the Union address. The administration usually loves to throw around the idea that the international arena is not defined by zero-sum games, but in last night’s State of the Union, Obama took a clear turn, sending mixed messages about his multipolar worldview with an address themed “Winning the Future.” In stark contrast to all the “win-win” rhetoric — another favored term — of past years, last night’s speech framed the competition for jobs through a “yours-or-mine,” “here-or-there” lens in a way that has never been done before. Rapid growth will lead to a healthy competition for the jobs and industries of the future. And as President of the United States, I make no apologies for doing whatever I can to bring those jobs and industries to America. But what I’ve also said throughout this trip is that in the 21st century, there is no need to view trade, commerce, or economic growth as zero-sum games, where one country always has to prosper at the expense of another. If we work together, and act together, strengthening our economic ties can be a win-win for all of our nations. We’ve all lived the world of globalization and know that it’s not a zero-sum game, that it creates jobs in the United States and also creates jobs in India. Competition in everything from astrophysics to athletics was treated as a zero-sum game. If one person won, then the other person had to lose. And then, within a few short years, the world as it was [during the Cold War] ceased to be. At stake is whether new jobs and industries take root in this country, or somewhere else. The future is ours to win. We know what it takes to compete for the jobs and industries of our time. We need to out-innovate, out-educate, and out-build the rest of the world. We have to make America the best place on Earth to do business. But if we want to win the future — if we want innovation to produce jobs in America and not overseas — then we also have to win the race to educate our kids. He didn’t exactly trumpet American “exceptionalism,” and he didn’t proclaim America’s mission to remake the world, in so many words, but he inserted into his speech an odd phrase: “No one rival superpower is aligned against us.” Without saying so, he portrayed the United States, therefore, as the world’s lone superpower, an errant vision that reinforces the view of the neoconservatives and liberal interventionists that America has some vague responsibility for the rest of the world. “American leadership has been renewed and America’s standing has been restored,” he proclaimed. Really? Nowhere in his speech did Obama reflect on the necessary, humbling vision of the United States as a declining world power whose future depends on its reaching a series of accommodations with at least five or six other rising powers and regions. If America’s standing has been restored, where was it before? And if it’s been restored, why are we trying to “win the future?” Of course, implicit in this phrase is that, right now, we’re losing — or, on track to lose. [The] world has changed. And for many, the change has been painful… I’ve heard it in the frustrations of Americans who’ve seen their paychecks dwindle or their jobs disappear — proud men and women who feel like the rules have been changed in the middle of the game. They’re right. The rules have changed… yes, the world has changed. The competition for jobs is real. Another shift in tone and rhetoric. What happened to this? Change is no longer framed as promising and auspicious, overflowing with effortless confidence and hopeful optimism. 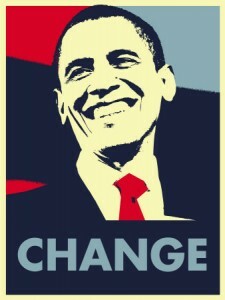 Now, the message is: Change hurts. And it’s happening whether we like it or not. So we better shape up or we. will. lose. Well, first of all let’s remember that State of the Union speeches are eminently forgettable — and for good reason. Since the Soviet Union is no more, I don’t think the term “Sputnik moment” should be considered a slap in anyone’s face. Actually I thought it a rather interesting analogy. The original Sputnik in 1957 was a shock to most Americans, especially the public intellectuals who beat the drum of crisis relentlessly for years thereafter. Of course, the real crisis was a psychological one, based on how very seriously we took the Soviet propaganda (“We will bury you”) of the time. We were in fact on top of the world then, even though the Russians had beaten us to the punch in space. Today we really do face a crisis of enormous proportions. Millions of American jobs have disappeared overseas, lost to foreign competition (not to mention others lost to automation). Work has to be found for millions of citizens, many of whom don’t have the skill set needed to compete in the global economy. Or if they have skills, they are priced out of the market by foreign workers who cost less. Failure to solve this problem means setting adrift a significant percentage of the population, who will be without work or income. Imperial Rome had a similar problem, but could draw upon a surplus of resources that allowed it to feed and entertain the mob. No such surplus exists here anymore, thanks to superpower overreach, excessive government spending, and — yes, globalization. Neither Obama nor anybody else has a solution to the problem that I can see, but he’s certainly right to raise the issue. I’d like take issue with the ideas that globalization has, overall, been good for America, and that the ongoing process of globalization is inevitable and irreversible. To do so in any coherent fashion, however, would require a lengthy essay if not a book, and I’m not about to foist such a thing upon all the swell Lobelog readers out there. Additionally, any such work would immediately be labeled as crankish, given the overwhelming intellectual prejudice in favor of globalization. I don’t know if Obama was trying to restate the case for American exceptionalism, and if he was I’d bet it was more for domestic (particularly Republican) consumption that anything else. Surely, we expect presidents to sound alarms and give messages of hope, not declare that the nation is in decline. Obama is a politician and a leader, after all, not a scholar without public responsibilities. Dreyfuss as usual overstates the case — not about American decline per se, but as regards our perceived dependence upon the goodwill of “five or six other rising powers and regions.” The coming decades will reveal the warts on China, India, Brazil, and the rest. A multipolar world is coming, or here, but sound policies and leadership could very well maintain the U.S. as the primus inter pares far into the future. Will that be the state of the world in 2050? Hard to say. A major retreat from empire, and a partial retreat from globalization, would almost guarantee such a result, given demographic trends and the real superiority of our political-social organization (yes, most of the rest of the world really is that pathetic). Remember that 50 years ago the Soviet Union was “destined” to surpass us, and that 25 years ago Japan was sure to leave us in the dust. Would anyone trade the Russian or Japanese situation of today for our own? I didn’t think so. Me thinks articles and prepositions get short shrift in these word clouds.